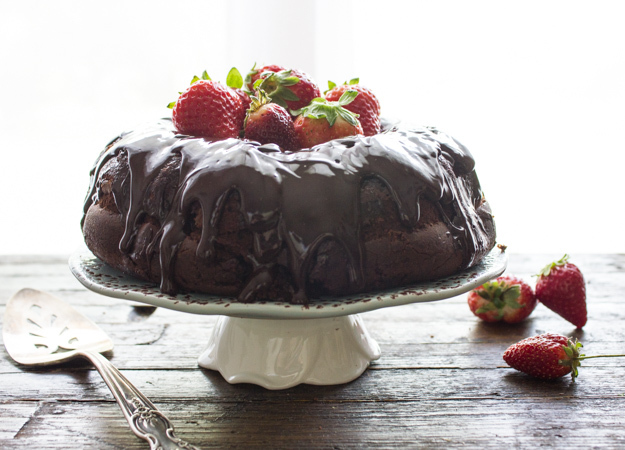 Hi everyone, it’s me Rosemary from An Italian in my Kitchen, and I am back again to share with you a Delicious Decadent Glazed Dark Chocolate Bundt Cake, if you love chocolate then this is just the cake for you. And I have to admit I am one of those chocolate lovers, oh yes and also Pasta lover, Pizza lover ok Food lover in general. I am so happy to be guest posting on Crystal’s Blog again. She is an amazing person and I like to call her a friend. I asked her what she would like me to make, “A Chocolate Dessert” was her response, what can I say, great minds think alike, I was thinking the same thing! Well if I’m going to go chocolate, I might as well go all the way. This Chocolate Bundt Cake is just that. Not only does it have a chocolate ganache on top of the cake but also baked into the cake, along with a little cocoa and a couple of tablespoons of coffee just enough to bring out the chocolate flavour but not enough to taste the coffee, and some mini dark chocolate chips because, well why not? I filled the middle with some fresh strawberries, because everywhere I look here in Italy there are strawberries. Strawberries and chocolate a perfect combination. I hope you enjoy this Glazed Dark Chocolate Bundt Cake, I think it would make the perfect family Dinner Dessert. Enjoy! Pre-heat oven to 320°. Grease and flour an 8 inch (or slightly larger) Bundt Pan. To make the Chocolate Ganache - in a small saucepan heat the cream until hot (do not boil) add the chopped chocolate and stir until smooth, set aside to cool. 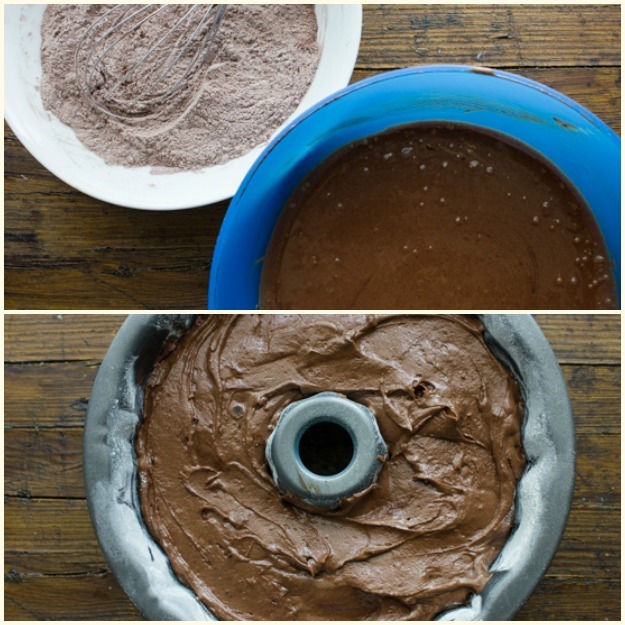 In a bowl whisk together flour, baking powder, baking soda, salt and cocoa. In large bowl add the cooled chocolate ganache, melted butter, greek yogurt, eggs and sugar beat until smooth, add flour mixture and beat to combine, then add coffee and milk beat until smooth, stir in chocolate chips. Spoon into prepared bundt pan and bake for approximately 45-50 minutes, test with a toothpick for doneness. Remove from oven let cool slightly, remove from pan to a wire rack. Let cool completely before frosting. In a small pan heat butter and cream until hot (do not boil) remove from heat, add chocolate chips and stir until smooth. Cool slightly before drizzling over cake. If you find this Glazed Dark Chocolate Bundt Cake delicious then I think you may also enjoy a couple of my favourite Cake desserts. Let’s just say this all started over 20 years ago. I made a radical decision to completely change my life. From high heels, stocks and bonds and restaurant eating, to going up to my knees in grapes and green beans. From the great city of Toronto to the eternal city of Rome. In the summer of 1989 I decided to board a 747 for Rome, leaving behind me, my family, my friends and my job, to start a new adventure that would turn out to be my life. Read more about my life and my recipes at An Italian in my Kitchen. That cake looks ridiculously amazing! We are fans of chocolate in general here, but always lean toward the dark side. 🙂 With the ganashe on the top, I don’t think I could say no. Strawberries are in season here too and they would be perfect on top of this beautiful creation. Now this is a recipe worth holding on to! The chocolate ganache that you topped this chocolate cake with is enough to make my mouth start to water! Yum! I also love the addition of strawberries in the middle. 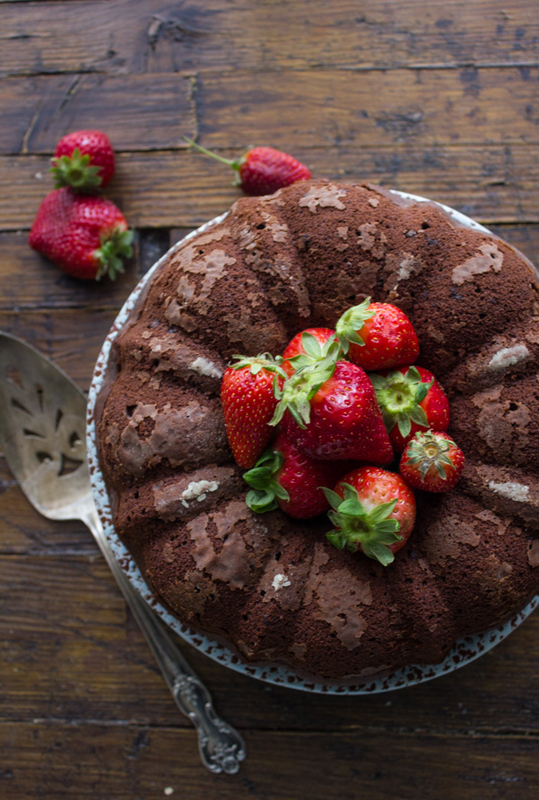 You can’t go wrong with the classic combination of strawberries and chocolate! Hi Jamie, thanks so much, I love Chocolate Ganache, although even without this cake is really good. Thanks Jamie, we love dark chocolate too! Hope you enjoy it. I love cakes and this one is no exception. Your chocolate bundt cake looks so luscious and rich! To add a simple twist, we may just have to pour some vodka to make it a bit different. The Bundt cake looks amazing! My mom’s birthday is coming up and I would like to surprise her with a cake. She loves chocolate, so this is perfect. Thanks for sharing the recipe. She’ll love this, for sure. This chocolate bundt cake looks so delicious! I love a good chocolate cake and this one looks so moist and yummy! Wow…this looks awesome! I love the strawberries in the center…there’s nothing better than strawberries and chocolate! Thanks for the great recipe…I’m pinning to my “Chocolate Heaven” board! I love dark dark chocolate. This cake looks incredible! Isn’t it stunning? 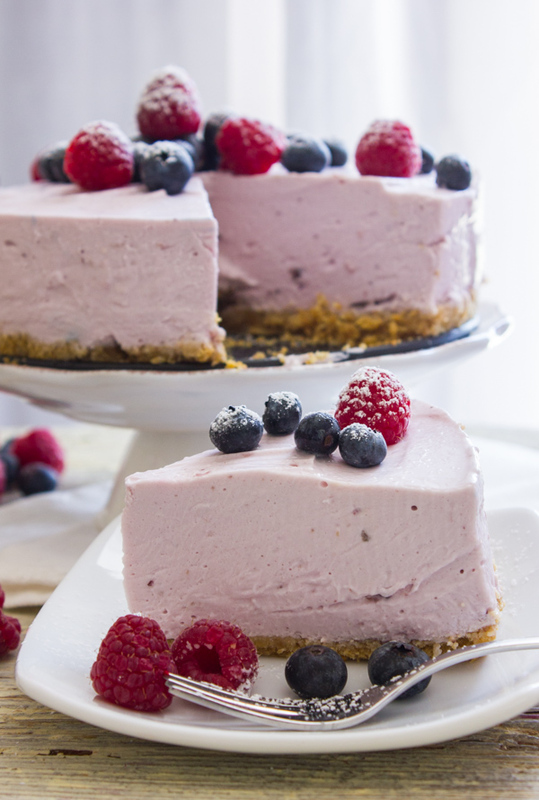 Rosemary creates some of the most gorgeous desserts I’ve ever seen! Hi Lisa, thanks and dark chocolate is so underrated. Love it too! You had me with the coffee inside! Thanks so much for the feature. And so glad you like the cake. I inherited a bundt cake pan several years back and have never used it for anything other than Christmas morning monkey bread! 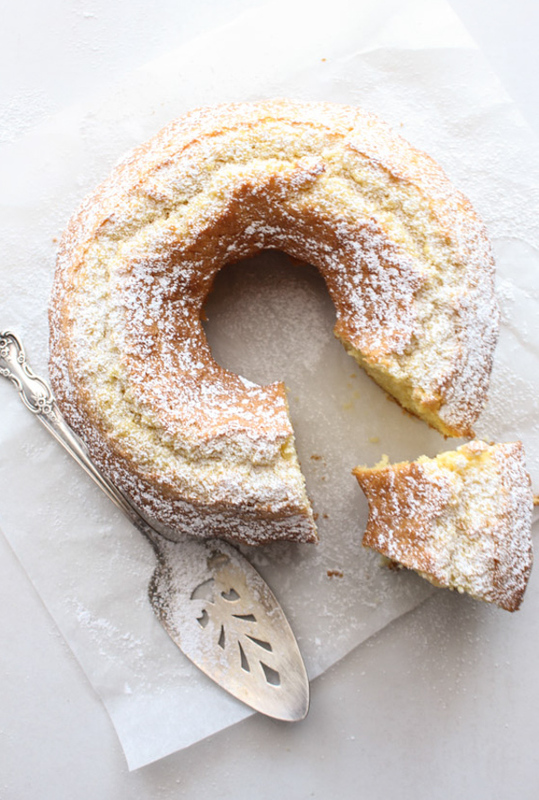 This recipe sounds fantastic and I will finally make use of it for what it is meant for…cake! Hi Michelle, so glad you found another use for your bundt pan, hope you enjoy it! This looks and sounds delicious! Thank you for linking up to last week’s Tasty Tuesday. I have pinned your recipe to the Tasty Tuesday Pinterest board. I hope you’ll join us again this week. This cake looks amazing! Thanks for sharing at the Inspiration Spotlight party. Pinned & shared. See you again soon.